This will be my seventh readathon! 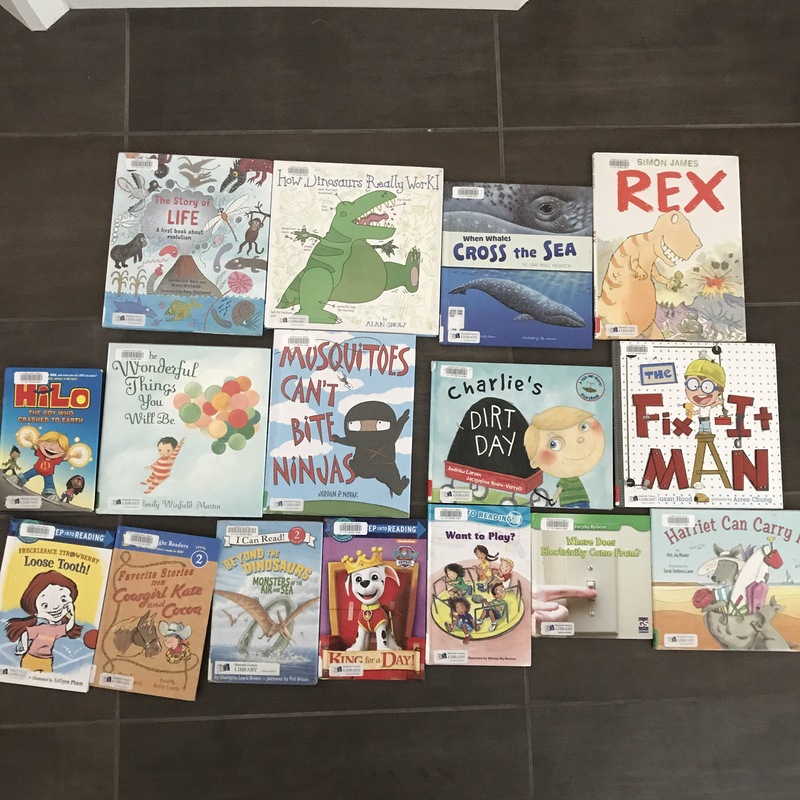 I’ve been readathoning since 2014, when I threw all caution to the wind and decided to just go for it, despite having two very little kids then. They’re still little-ish now, having just turned 4 and 6! This weekend is also going to be a busy one as my father-in-law, who has been visiting us for the past month, will be flying back to Singapore on Sunday morning. So we will probably be taking him out to a nice meal and perhaps some last minute shopping. But anyway, I am, as usual, way over-prepared in terms of books. 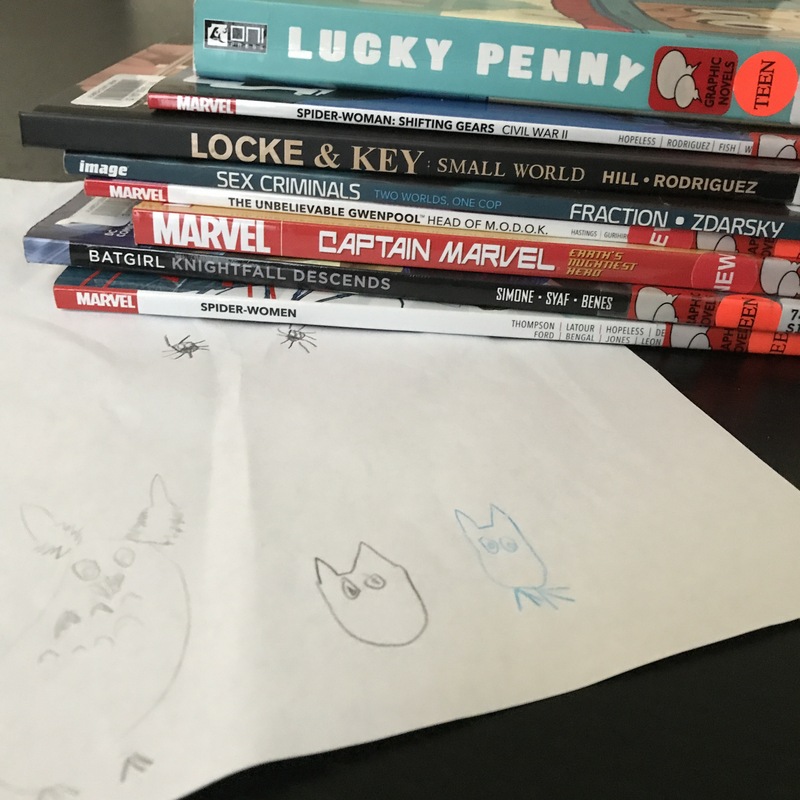 This year I made sure to request a solid pile of comics way before the event. So I have some great choices here. And I’ve also downloaded a few e-books from Overdrive onto my trusty old Nexus. The kids have a pile of library books too. And snacks! We still have cake! And brownies! And veggie straws and lots of fruits. Also, cheese – Brie, Gouda, Madrigal (a recent discovery). I think I am set. I’ve loaded up the Kindle and looked out some shortish books. Taking breaks to dance with my kid! I’m not readathoning, but I’ll be following hashtags on Litsy!